When deciding on Job Sheet Management software to implement into your business, the first thing you need to know is the features the software has to offer to improve your business. Apart from the service you may receive from a provider, the features are the next to analyse. The features will determine whether you are really getting what you pay for. Below is a list of the top 10 features to look out for when deciding on software for your business. Whether your admin staff know what to quote your customer or if a field operative needs to do a site inspection before quoting. Your online quoting system should accommodate both instances. It is also important to know if a quote is converted to a job once the customer accepts the quote. A quoting feature should offer a smooth flow from the creation of a quote to the completion of a job. Thus, linking relevant information in your system and being able to search with ease. One of the essential features of any Job Sheet Management software is job management itself. This feature will make sure jobs are scheduled and assigned the most efficient way possible and that field operatives are not double booked. Your admin staff will know exactly where your field operatives are at any given time. Using a paperless Job Sheet Management System will also ensure jobs are not lost or misplaced. When your invoicing is integrated within your Job Sheet Management system your invoices will include all job costing and ensure that an item is not left out. 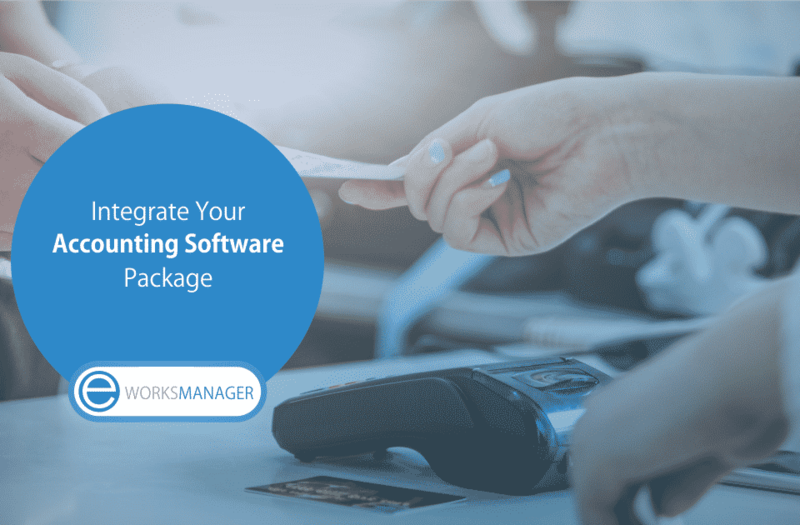 Using an invoice management software that can integrate into software packages with the likes of Sage, Quickbooks and Xero will allow for a smooth transition when implementing an all in one system. This means your customer will never receive an incomplete invoice. It is crucial that when your admin is costing or invoicing a job that your product details are correct with the correct cost, codes, mark-ups and descriptions. Being able to add your products to your Job Sheet Management system will ensure each products’ information is correct. By being able to import all products to your system and update them when there is a pricing change will make sure you aren’t using multiple systems to do so and that you aren’t under or overpricing your customer. Job Sheet Management software should come inclusive with CRM software for you to capture and manage all your customers billing, site and any additional details you might need to capture around your customer. It is also important that every member of staff whether in the office or out in the field has access to customer details. This elevates the time or the run around to get phone numbers and address details. It helps having your customers in one system so that if details change, all staff can view the changes made. If you are a business that is doing work out in the field, you probably have a stock holding at your warehouse where your field workers go to replenish stock daily or for jobs they need to complete. In order to properly manage and monitor your stock and quantities, it will help to have an inventory management system to do so whilst keeping a full track history of the movement of your stock. That way you know what you need to order in, what’s been used and where your stock is. Working in the technical service industry means installing and maintaining assets. A feature that should be included in your Job Card Management system is an asset management system. This feature will give you the ability to manage your or your customer’s assets. This means capturing new assets, creating jobs around them, updating their details from site and keeping a full history of work done around them. To manage jobs that might take a longer period of time, you will need an effective way to keep track of all jobs within a project. Schedule multiple jobs on multiple sites, know the true project costs and know exactly where your profit is sitting. All costs are considered within the project as they are captured. This is where project management software will come in handy. Keeping track of your day to day activities should be simple with a Job Sheet Management software. Task management software will allow staff to set reminders or tasks for themselves or other members of staff. These can be general tasks or specific to leads, quotes, jobs or other sections of the system. Once a task is complete there should be the option to indicate that it’s done. That way you aren’t using multiple systems to execute and track work-related tasks. Every business knows the value of pulling reports at the end of the week or month. This way, you know what to improve on. A mastered Job Sheet Software should be able to generate reports on all activities that occur on the system, as and when you need them. Why wait until month end when you can know exactly what has happened in the last few hours. Reports should be user and customer specific, offer date ranges and give you information without using a calculator. The features mentioned above should be available to you on a complete all in one Job Sheet Management software. These features not only add value to your workforce but make sure you are a competitor in your field. Features that are available on the admin side, as well as the mobile App, will let your field workers contribute to business productivity. Any changes made will be shown on all platforms, giving you full flexibility. This means you as the business owner, manager or administrator have full control of your business. View Eworks Manager’s comprehensive list of features that is continually expanding to see how we can benefit your business. Alternatively, you can register for a 14-day free trial and see how these features can work for you.